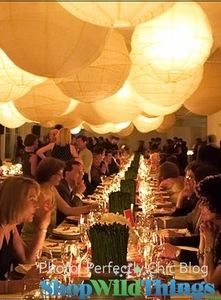 Pretty paper lanterns and elegant chandeliers are lighting up stage sets and chic parties from Hollywood to New York, thanks to easy-installation LED lights from ShopWildThings. 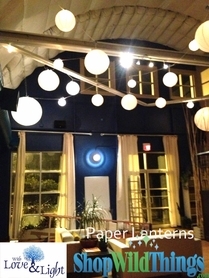 Shop our single-use and remote control-compatible cordless LED bulbs and discs.� They easily attach inside lanterns and chandeliers to hang from ceilings or create unique centerpieces. 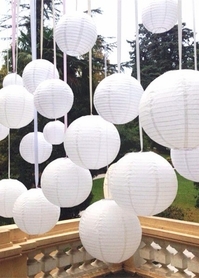 Light up colorful paper lanterns with single, 12-terminal and rectangular wireless LED lights. Our how-to videos will show you how easy it is to insert these eco-friendly light sources. Your party will be divine. Browse our photo pages to see the spectacular effects you can create with white, solid color or color-changing wireless LED lights. 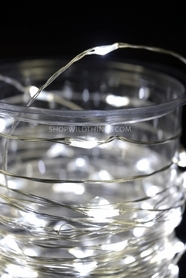 Our Lyte LED rings are 6 inches in diameter with three energy-saving LED lights. Use these LED Lyte rings with or without Acolyte RGB remote controls. The open-center design allows you to use it inside a chandelier, on top of a vase or with a gorgeous floral arrangement. Shop our Nu-Tek LED lens-powered lighting with surface-mount technology. 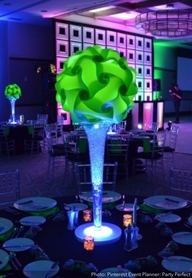 Production set crews and wedding planners love our 16-color changing LED light bulb. 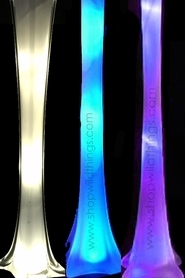 Just screw it into any standard fixture for a stunning light show.